Home Health & Wellness Tooth Talk What’s Behind Clenching and Grinding Teeth? Teeth grinding, medically known as “Bruxism” and can start very early in life. Most people probably grind and clench their teeth from time to time, but when teeth grinding occurs on a regular basis the teeth can be damaged and can cause other oral health problems to. Our upper and lower teeth are supposed to glide together smoothly, touching when we are chewing food. Clenching is more likely to occur during the daytime and grinding occurs during sleep and most people are unaware that they grind their teeth. Signs and Symptoms of Teeth Grinding? • Sore muscle of your jaws and headaches. • Clicking and popping when you open your mouth wide. • Teeth that are worn flat. • May see hair line fractures in your teeth. • Breaking of fillings or other restorations. Reasons Why You May Grind Your Teeth? • Can be caused by stress and anxiety. • You may have an abnormal bite or missing teeth. • Can be caused by a sleep disorder. 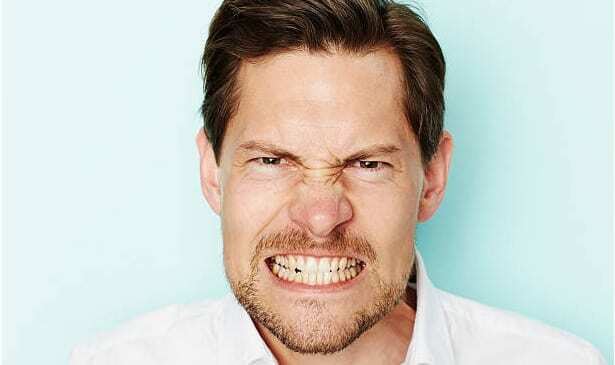 There is no cure for bruxism, the condition can be managed through treatment. If you think that you grind your teeth, consult your dentist for an evaluation. Your dentist can make the proper diagnosis by checking for wear on your teeth, checking your jaw movements, and TMJ for clicking and popping and offer a remedy for treatment.